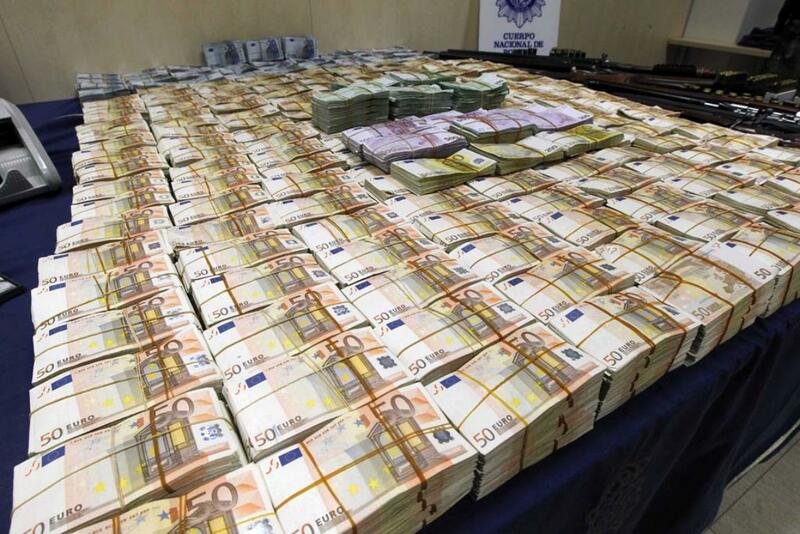 Measures to crack down on organised crime, corruption and money laundering are set out in an EU action plan for 2014-2019, drawn up by a European Parliament committee established for this sole purpose and tabled on Tuesday. Attacking organised crime's financial assets and sources of income tops the list. "We need to stand united in the fight against mafias. Today we approved a European framework to fight a European problem. Now it is up to Member States to follow up and bring forward the measures we are proposing here" said Salvatore Iacolino, who drafted the final proposals, approved with 29 votes in favour, none against and 8 abstentions. MEPs want people who are convicted by a final judgment of organised crime, corruption or money laundering to be excluded from bidding for any public procurement contract anywhere in the EU and barred from running for or holding any public office. All judgments of this kind should be immediately enforceable in all member states, they add. To protect the EU's financial interests, it is vital to attack organised crime's assets more effectively, say MEPs, who advocate abolishing banking secrecy and eliminating EU tax havens to this end. Once seized, using criminal or civil law procedures, these assets should be re-used for social purposes, they propose. Legal entities such as holdings and their subsidiaries should be made legally liable to reimburse any public subsidies they have received if they commit financial crimes, they add. Efforts to combat match-fixing and illegal sports betting, an important source of income for organised crime throughout Europe should be stepped up by introducing new offences and appropriate penalties, say MEPs. Vote buying should also be made a criminal offence even when its benefits are intangible, they add. MEPs also reiterate their long-standing request that a European Public Prosecutor’s Office be established to coordinate national investigations and combat crimes affecting the EU's financial interests. It should be well-equipped with the necessary human and financial resources, MEPs stress. Legal definitions of "organised crime" differ among EU countries, which hampers their efforts to coordinate the fight against mafia-type activities. A single legal definition of mafia-type criminal activity that fully covers the phenomenon is therefore essential. New legislation to protect witnesses and informers throughout the EU and help them to restart a new life could also improve the fight against mafias, MEPs say. The Special Committee on Organised Crime, Corruption and Money Laundering was set up in March 2012 to assess the impact of mafia-type activities on the EU's economy and society and to recommend legislation and other measures to equip the EU to respond to these threats at international, European and national levels.